Available to download on Google Play and iOS, MyObits is created by long-time funeral director Scott Found. 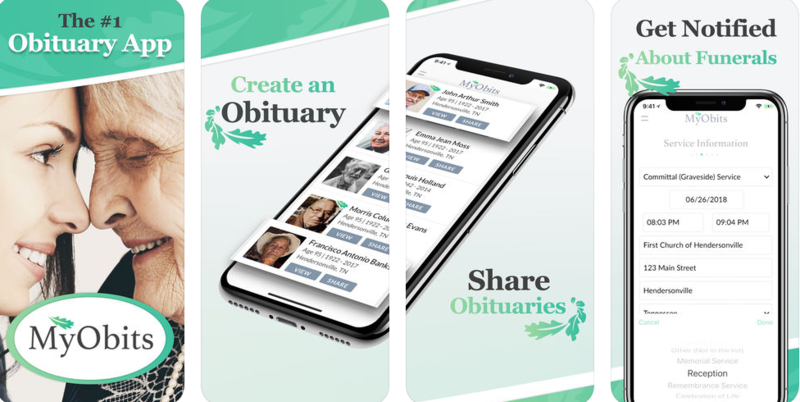 It provides people with a cost effective, easy way to create, submit and share obituaries when a loved one passes away. When a loved one passes it’s an emotionally overwhelming time – the last thing you want to deal with is expensive obituary bills. The average cost of a printed obituary is a whopping $300 – even more if you want to get it published in newspapers with wide reach. MyObits charges a nominal $35. With a near 90% saving, this app could help save users a lot of money which could be put towards other costs. Best of all you’re not subject to limited space or word limits compared to traditional print obituaries. You can select keywords based on the details you think are most likely to be searched for such as military service, school, name workplace and a lot more, making it easy for people to find the entry. Entries can be made public or private and there’s even an optional guest book and floral site so you can have fresh flowers delivered. MyObits is a straightforward, low-cost way to post death notices. With more and more people accessing their information digitally, this app is sure to be extremely useful for those who want to save money and stress during their time of grief.